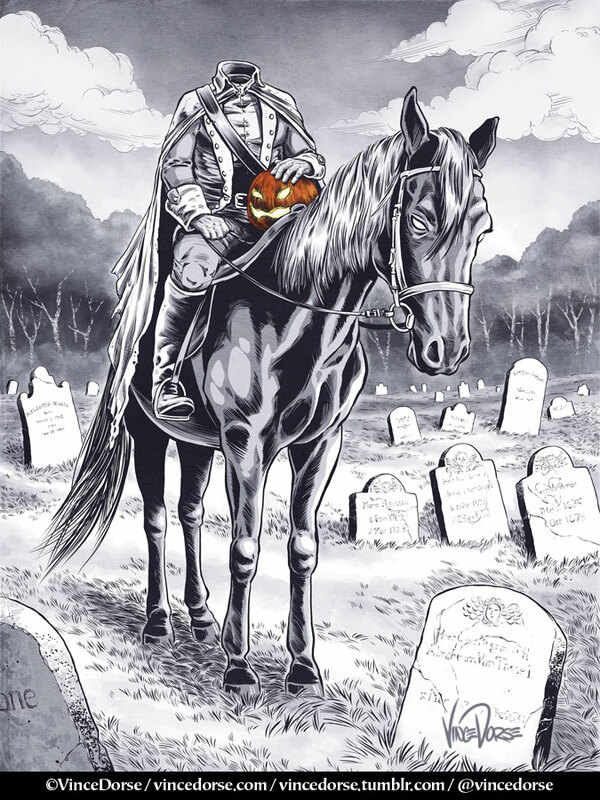 There he sits in an old Dutch churchyard, the Headless Hessian atop his horse. 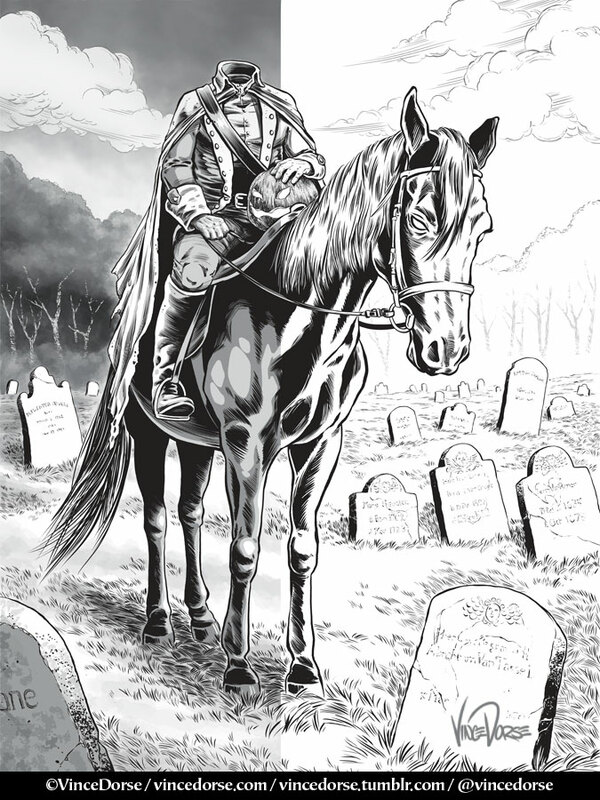 The Legend of Sleepy Hollow is one of my favorite stories of all time. 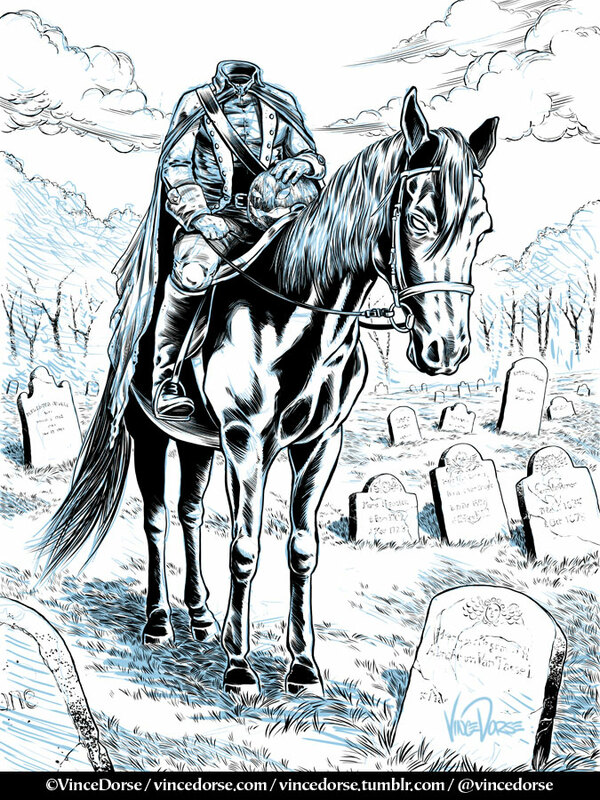 This isn’t my first run at the horseman and it won’t be my last, but this is the first one I created almost entirely in MangaStudio, so I’m posting the process steps below. 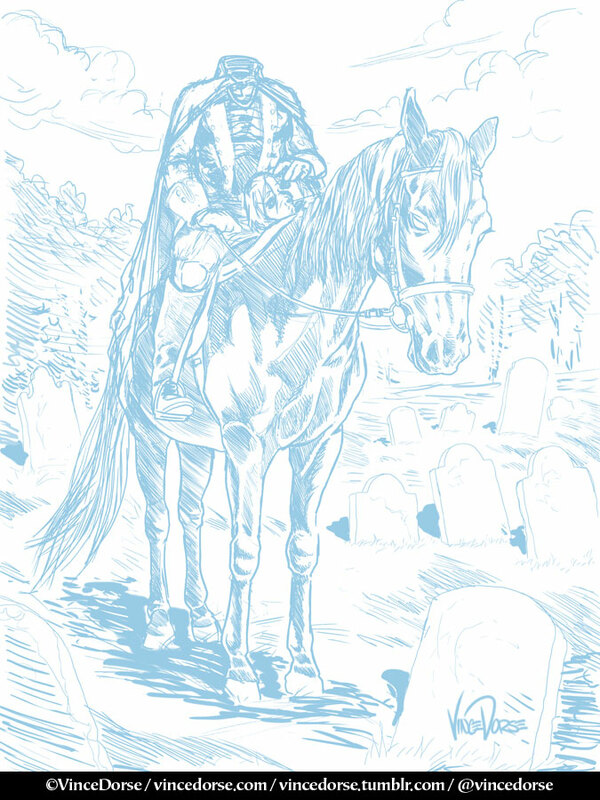 Pencils: I sketched this in MangaStudio with a blue pencil tool. It started out much rougher, but I just kept adding layers, drawing over my sketches and refining the forms until I got to a stage I thought was good enough to ink. I should mention I use a Wacom stylus/tablet, but you could also use a Cintiq or Yiynova tablet monitor. And if you’re some kind of superhuman ninja, I suppose you could use a mouse, but I wouldn’t recommend it. Inks: With the blueline sketch on one layer, I opened another layer on top and used some inking tools to lay down the blacks. The G-Pen is a good, dynamic tool that puts down a nice, variable width line. But if you want to experiment beyond the standard tools, there are MS users who create/sell their own brushes online. I’m always experimenting and trying new brushes. 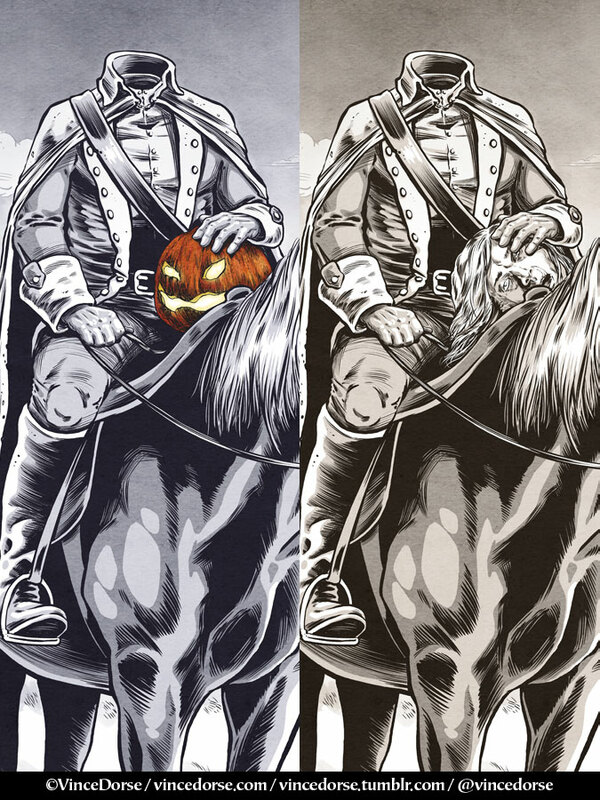 Toning: I used a handful of brush tools to give the drawing some grey tones. Rough-edged brushes for the grass and headstones to give the texture some bite, and softer tools like airbrush and blenders for the gentle variegation in the trees and sky. For the figures I used a smooth, hard-edged brush to get bold, solid forms.